AstroServe specializes in Unified Audio-Visual Control Systems. However, what we believe is that no matter how advanced a system may be, its users and creators are still always people. No matter how difficult an order may be, we always persevere, and never give up. Jobs that would normally take several companies to do, we see through to completion on our own. If you need overseas compatibility, we can handle even the toughest demands. In all aspects of our work, from engineering to service, we turn possibility into brilliant reality, through the power of people. When we sell a system, our commitment does not end there. The smiles that follow are the products that we at AstroServe deal in. 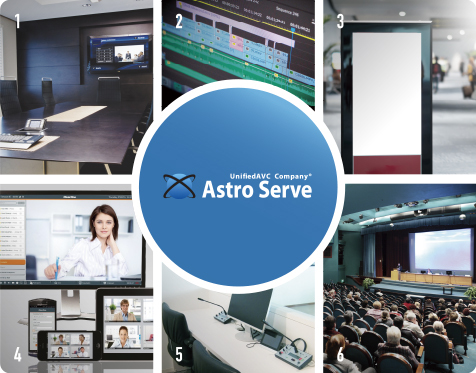 AstroServe's Unified AVC® Solutions are systems in which every piece of equipment is integrated and unified, putting intuitive control at your fingertips. We provide services that meet the needs of clients in all industries. 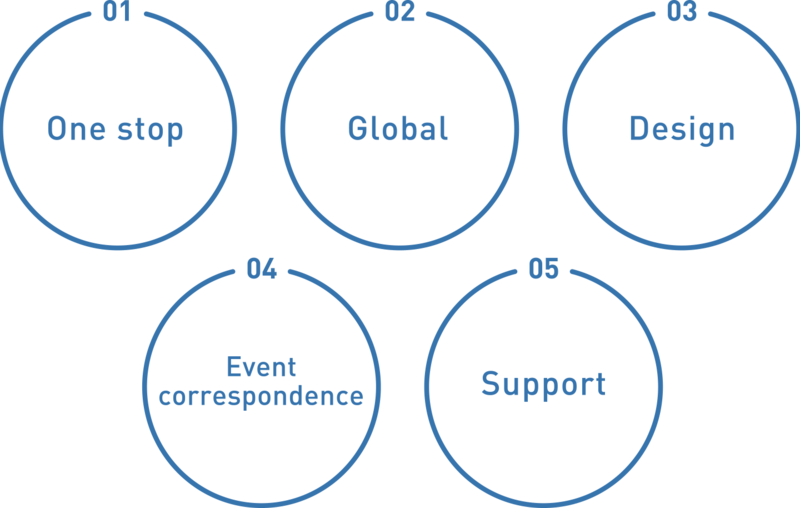 The benefits that we at AstroServe provide go beyond the convenience and robustness of our systems. To us, comprehensive quality means also meeting needs outside of the direct operation of systems.